Explore our programs using the menus above. Welcome to UNH's Learn for Life website! A place for adults and youth to pursue learning through a lifetime! 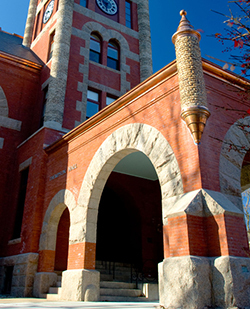 Whether you're an adult seeking career skills or personal interests, or someone who wants to foster your child or teen's excitement in learning, UNH offers hundreds of non-credit opportunities — youth programs, seminars and courses, certificate programs and conferences, special events, and more! UNH offers hundreds of youth programs, courses, seminars, one-time events, conferences and so forth to the general public, and one concern that we typically hear is that it can be challenging to learn about what is available since these programs are offered through many avenues. UNH Learn for Life is bringing these programs together in one location. Professional Development & Training is an office within the University of New Hampshire whose mission is to serve individuals, businesses, schools, and organizations in New Hampshire and surrounding regions by offering a wide range of professional development opportunities throughout the year. Programs are designed to assist professionals in developing new or advanced knowledge and skills in a variety of fields. Instruction provides a balance of theory and practical skills that participants can immediately apply to the workplace. Explore 2018 offerings now. Click Here! For on-site corporate training click here! UNH offers over 50 top-notch educational summer programs for students ages 6 - 18 in academic enrichment, the arts, athletics, STEM (science, technology, engineering, math) and traditional day camp and water activities.